Many trucks have diesel engines and require a special hand when it comes to car maintenance. A diesel engine is an internal combustion engine. It uses the heat of compression to initiate ignition to burn the fuel. This is then injected into the combustion chamber. When something goes wrong with a diesel engine it needs to be repaired by someone who is experienced with diesel repair. Diesel repair is only one part of truck repair. Trucks are similar to smaller vehicles, but often truck owners find themselves needing some form of repair or maintenance that requires a professional. Auto maintenance is also a great step to maintain when thinking of truck repair. Changing the fluids in your truck regularly and getting tune-ups is the key to keeping your truck running at its full potential. 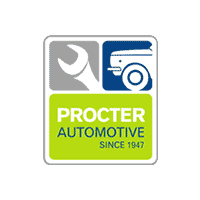 Procter Automotive is dedicated to offering substantial diesel repair, truck repair and auto maintenance. Since 1947 we have been offering our customers honest, reliable and effective auto maintenance and auto repair services. Procter Automotive only employs ASE certified mechanics and we are a certified AAA auto repair shop.